It’s been a marathon day here and I’m finally sitting down to write this review. 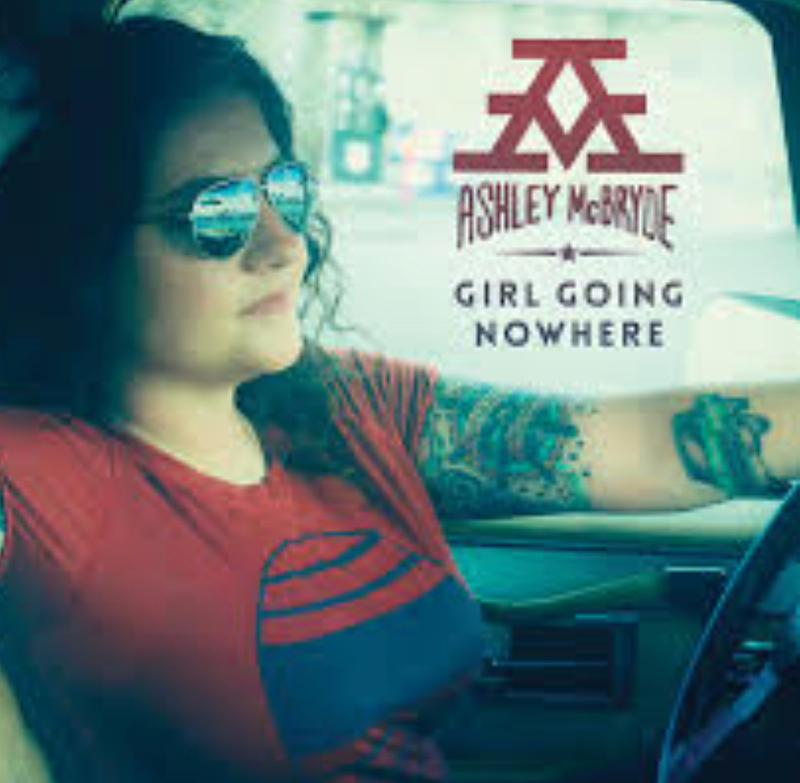 There’s been a whole host of interruptions, but the biggest obstacle to me actually sitting down to try and say something about the new Ashley McBryde record, oddly enough, IS the new Ashley McBryde record. It is, without a doubt, and I’m swearing on every ancestor’s grave I can think of, the very best album I have been asked to review, but more than that, it’s the very best new album I have listened to as a fan since I don’t even know when. I’m old. Does that help? “Girl Going Nowhere”, set to release March 30th, is McBryde’s first full length album since being signed to Warner Nashville and there were absolutely no balls dropped. 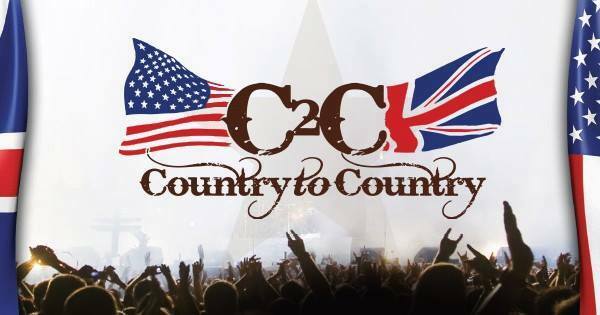 Produced by Jay Joyce, who recently worked on Eric Church’s “Mr. Misunderstood” and Carrie Underwood’s “Storyteller” albums, among others of that caliber, the quality on “Girl Going Nowhere” is top notch. Before I even dug into the production end of it, I could just tell this whole project was handled with kid gloves. It sounds glorious. Back in February of this year, Annette Gibbons and I interviewed Ashley McBryde during CRS week in Nashville. It was one of the best interviews of the week and we learned a lot, thanks in part to McBryde’s easy demeanor and willingness to answer whatever questions we threw her way, no matter how insignificant or crazy they seemed. That interview would prove to be very helpful in reviewing this album, as you’ll see in a bit. My next dilemma was, do I take this track by track, or do I select a few standouts? If I review every song, I feel like I’m ruining what I consider to be a truly fantastic gift to our readers. On the other hand, if I skip any, I feel like maybe I’m selling McBryde short and not “pushing” the record enough, because no matter what, every one of these tunes is worth talking about. I wish you were all here right now, because I would take a poll, but you’re not, so I’ll just take a guess and hope I’m right. The first song on the album is the title track. Almost. The title of the album is “Girl Going Nowhere”. The song is called “Girl Goin’ Nowhere”. By dropping the “g” in “Going”, it suddenly falls into the category of English slang. Interesting. The story behind this song goes like this. Back when Ashley McBryde was in high school, a teacher told her she would never amount to anything, that a career in music was nothing more than a pipe dream. In essence, she WAS a “Girl Goin’ Nowhere”, or as a proper speaking teacher might say it, a “Girl GOING Nowhere”. While the song does throw that teacher’s words back at her, it isn’t a “Take that teacher!” kind of thing. It’s more reflective. More of McBryde’s quiet thank you to herself for allowing all of that negativity to sit somewhere deep inside of her and serve as constant motivation to keep going. This is no flashy, in your face song like it could have been. In fact, it’s far more effective the way it is. A soft, almost prayer-like arrangement, but the message is there, loud and clear. In our February interview, there was some talk that “Radioland”, co-written by McBryde, Autumn McEntire and Chris Roberts might be the next single, and at the time, I had never heard it, but the title intrigued me enough. Now I can say if I thought the title was interesting, the song that goes with it completely knocked me over. Should it be the next single? Why not? Any of these tracks qualifies, but this one? Let’s find a good word. Oh, let’s not be fancy. It’s a riot! If anyone in the world could relate to this number it was ME!!! For starters, your pulse immediately begins to rise the second you hit “PLAY”, so be ready with the lid firmly affixed to your drive-thru coffee cup before you do, because it might just make you jump a little the first time you hear it. You’re not going to expect this right after the more serene Track 1. “Radioland” pays homage to those of us who were all but married to the radio growing up. We didn’t have all the options we have now. There were no streaming services, no YouTube, not even MTV until the early 80’s (remember music videos on MTV?) Back then your source for new music WAS the radio. Breaking for a new paragraph. Yes, “Radioland” deserves two paragraphs. Given its rollicking beat, McBryde’s lyrics are still completely understandable and I hung on every one. I’ll tell you another key ingredient that made me love this song so much. I can never get enough of lyrics that drop names and this is one of those that’s dropping EVERYTHING. People names, brand names, song names and I couldn’t be happier. Stop and close your eyes for a minute. Picture yourself back in the day, hanging out with your friends or your family. Imagine the radio, where it sat in the house or the garage or wherever it was you were. Maybe you don’t remember the brand it was, maybe you do. Imagine the songs you’re hearing and what all of you were doing as the songs were coming out of that radio. Imagine the people. Are they still here? Or are they gone now? That radio might be the one thing that some of your old friends, if they read this, might be thinking about too. A common link. They might be thinking about you and wondering what you’re doing now. Living in “Radioland”. This song is just so magical. I lived in “Radioland” from the time I was barely old enough to talk and I still live there. I can’t even tell you how much this song brings me joy and I’ll bet it does for countless others. If you read my reviews, you’ll know I’m not big on ballads all the time, I’m also not crazy about songs that have a contrived “happy” feel to them. There’s nothing forced here. This is real life. At least for me. I lived that life. Like I said, I still kind of do, although it’s not quite the same in the streaming world. Check that. It’s not the same at all. 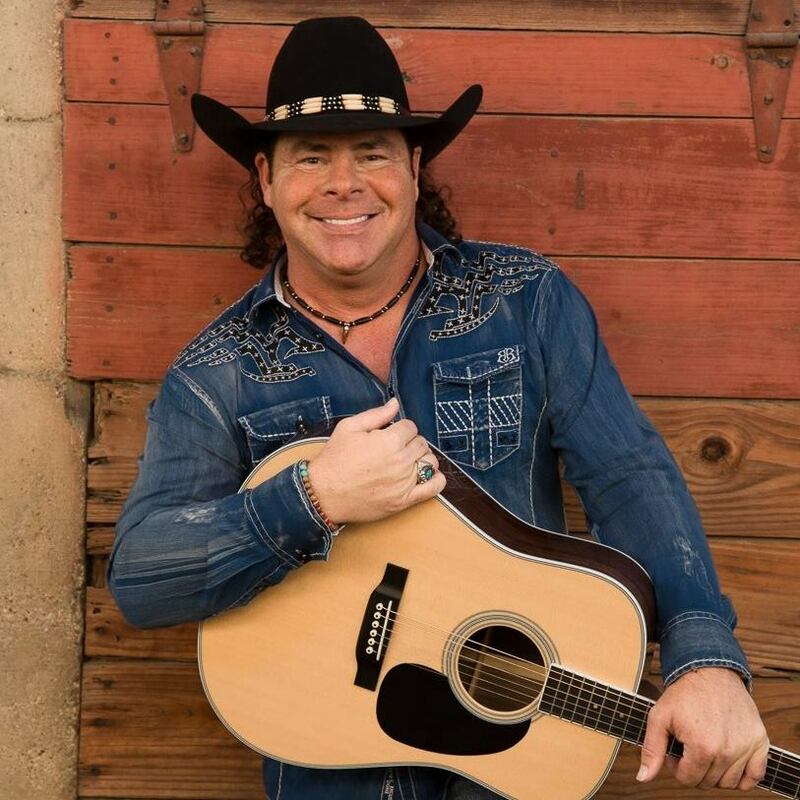 If you haven’t yet heard it, I’m not quite sure where you’ve been (certainly not listening to country radio), but it’s already won over the masses. It’s still in heavy rotation and rightfully so. It’s a very well- crafted piece of music based on a true story. 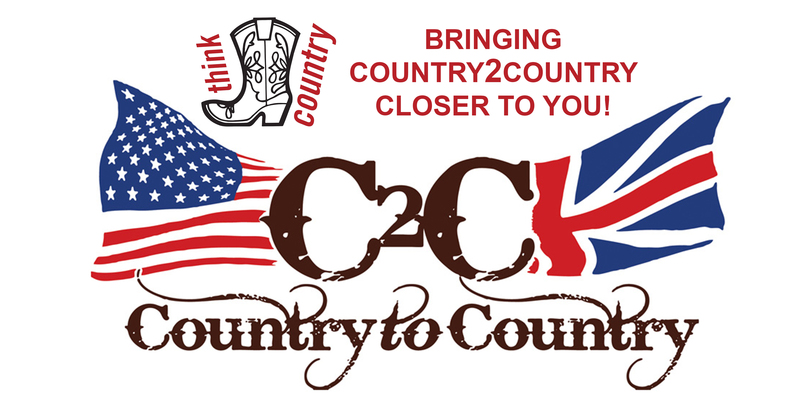 The perfect formula for the best country songs. “American Scandal” was not released as a single, but has been played on Sirius/XM The Highway and was co-written by McBryde, Randall Clay and Terri Jo Box. This is another one we were able to talk about during our chat in February. I thanked McBryde for writing and recording it because it just showcases how powerful her vocals can be. After hearing the more subdued “Dahlonega”, I was able to hear how much vocal depth she had with this one, not to mention the lyrics, which once again, like “Radioland”, incorporate pop culture references, and I love that technique so much. “It would be called ‘The Southern Babylon’ which is a song on this record, based on a friend of mine and I wrote a song about where we thought musicians go when we die. We don’t go to a normal Heaven or a normal Hell. You don’t go to a really great bar or a really terrible bar, right? This isn’t a really terrible bar. In that song, she ends up in a bar in Atlanta called ‘The Southern Babylon’, where your cigarette’s already lit, your tab’s already open, you don’t understand why you’re there, but some lady hands you a guitar and says, “Get up on stage”, and that’s where you spend eternity, playing in a cover band in ‘The Southern Babylon’. So, I would name my bar ‘The Southern Babylon’”. “Southern Babylon” was the song I was most curious to hear when I got my hot little hands on the advanced copy of this album, but I didn’t just skip right to it. I listened to the songs in order because I find it’s just easier to review them if I don’t go throwing puzzle pieces all over the floor, they get lost too easy that way. When I reached “Southern Babylon”, which comes in at Track 4, I closed my eyes and hit play. I was planning to really drink this in (pun not totally intended). From the very first spine tingling note, I was hooked. She didn’t tell us this was going to be, well, like THIS!! The song was written by McBryde and Tommy Collier and I owe them both a drink for this. I’ve been listening to music since living in “Radioland” when I had a Realistic transistor radio of my very own that I think I got when I was about 5, and when I make a statement like the one I’m about to make, I do not make it lightly. This song, “Southern Babylon” is ONE OF THE BEST SONGS I HAVE EVER HEARD. PERIOD. Not one of the best country songs I’ve ever heard. Not one of the best songs I’ve ever reviewed. Not one of the best songs on this album. ONE OF THE BEST SONGS I HAVE EVER HEARD. PERIOD. I’ll explain my reasons. First of all, the concept. It’s unique beyond measure. Next, lyrically it’s so close to perfection, I can’t stand it. Then, there’s that name drop thing that I personally love. I’m not wrecking what names are being thrown out, you have to get the record and listen for yourself, and musically, this is so hauntingly cool there are no words SIMPLE enough to describe it. I am not one for flowery over-the-top descriptions. If I can’t convey to people the brilliance of something in vocabulary that EVERYONE can understand, then I don’t want to talk about it at all. Just listen to it. This is one of those songs that I can honestly see some screenwriter wanting to turn into a movie, which kind of scares me, because in the headphones, it hits the bullseye. Nobody should ever fool around with this one. 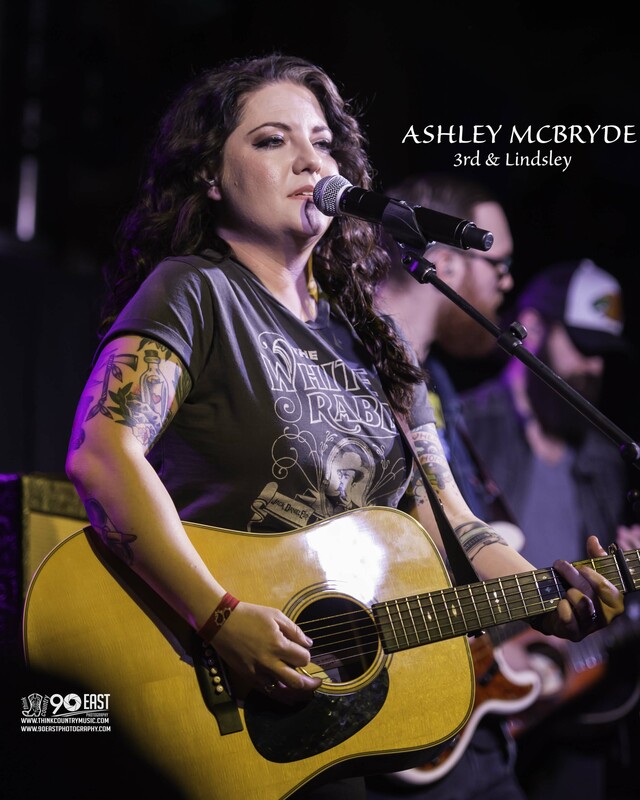 Except for Ashley McBryde herself, her smooth, sultry vocals are completely convincing here. She has taken us all into the “Southern Babylon” with her. Storytelling level – expert. Those who choose to cover it better know what they’re doing. This is a masterpiece. Have you ever been to “the dark side of the country”? Once you’ve listened to “Livin’ Next to LeRoy” you will have been. You see, LeRoy was a transplant from somewhere in Alabama, and LeRoy, he didn’t exactly live a traditional life. This tune, co-written by McBryde and Nicolette Hayford, is strangely upbeat, considering its serious subject matter. LeRoy doesn’t have a 9-5 job, or at least not the kind where you dress in a shirt and tie, then take the kids to soccer practice after dinner. No, LeRoy and his not-so-merry cast of supporting characters, who are stealing the neighbor’s bike to get the next hit or are in the house cooking up something they shouldn’t be, are who this song is all about. I won’t ruin the ending for you totally (it’s somber), but let’s just say the song is unbelievably catchy and it goes out with a whole lot of fanfare, which is crazy, I know, but then again, a lot of what goes on in “Girl Going Nowhere” is a paradox. That’s what makes it so incredible and so unlike anything we’ve been offered up before. The final track is one more backward spin on what we’re used to hearing. 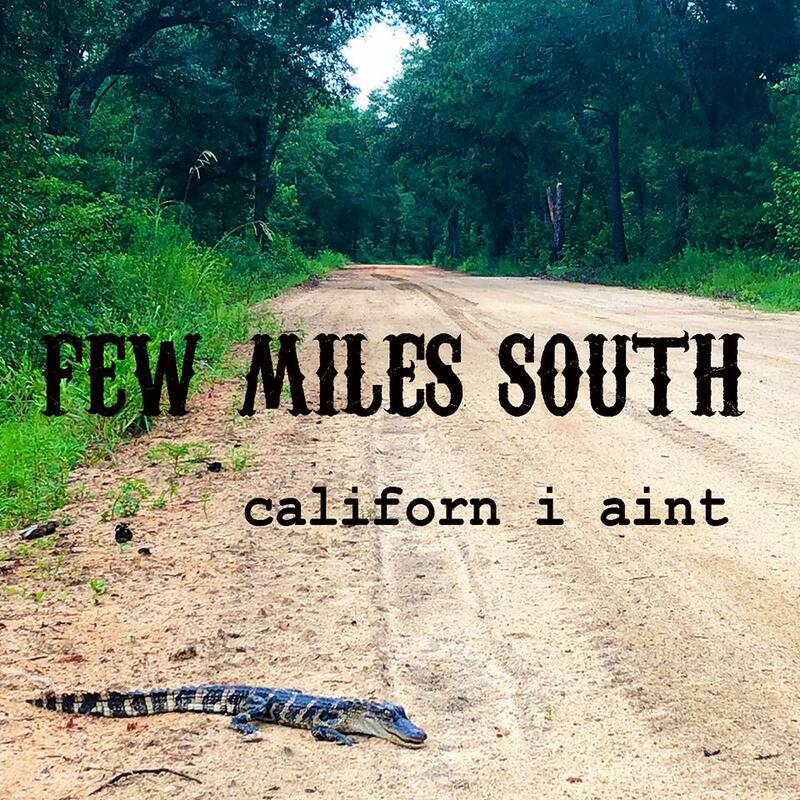 “Home Sweet Highway” (McBryde, Blue Foley, CJ Field) pays homage to the road. A place artists spend a good part of their lives. Ask a room full of them how they like being on the road and you’ll get a lot of different answers, but a good many will say something like, “I’ve been to a lot of places, but I don’t see much more than the inside of a bus or a hotel room.” They usually are happiest while playing a show and then coming home. The in-between isn’t much more than killing time to them, but then, there are some who actually love it, especially the newer artists or the ones who have been breaking their backs for years to get their shot and finally moved up from cramming into a mini-van to a Sprinter van or maybe even a real tour bus. A newfound burst of energy and excitement comes from “leveling up” if you will. Then, there are those that just wouldn’t know what to do without it. The road is their life and they really do love it. They’ve found ways to embrace it. That’s what this song is about. Instead of dreading that day of the week when it’s time to go back out again, this band is ready to hit the “Home Sweet Highway”. I recently saw McBryde and her band perform this live in Nashville and you could almost see it on their faces. This seems to be their theme song. They really would be lost without their road dates. So, keep on buying tickets to their shows, because they’ll keep showing up, and without a doubt, buy this album. Get it every which way you can. Buy it on CD, download it, buy it on vinyl, stream it. Even play it on your old Realistic transistor radio if you still have it.